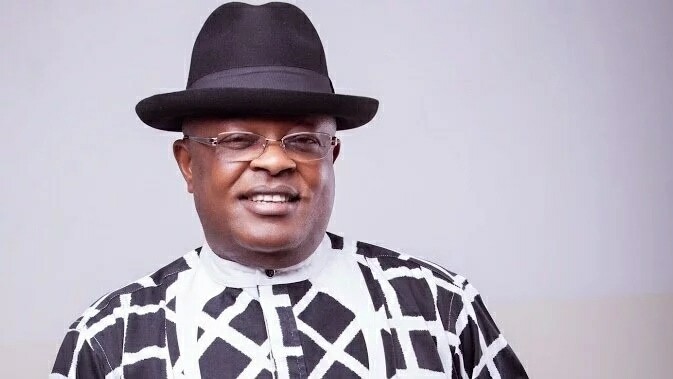 The Economic and Financial Crimes Commission (EFCC) has traced N400 million poll bribe cash to the accounts of some firms and a charity organisation allegedly owned by the Governor of Ebonyi State, Engr. David Umahi. The accounts are those of Osborn La-Palm Royal Resort Ltd and Brass Engineering & Construction Nig. Ltd and David Umahi Faith Foundation. The Deputy Governor of the state, Fidelis Nwankwo and a former minister, Ambassador Frank N. Ogbuewu, were also said to have admitted collecting the cash. They were said to have admitted that based on the instructions of the governor, the N400 million was handed over to a branch of Access Bank in Abakaliki. There were indications last night that the EFCC might seal off all the companies implicated in the bribery scandal. Only the sum of N90 million of the said sum was said to have been refunded. The N400 million was the sum allocated to the Peoples Democratic Party (PDP) in Ebonyi State out of the N23,299,705,000 slush funds provided by the immediate past Minister of Petroleum Resources, Mrs. Diezani Alison-Madueke. According to findings made by our correspondent, the anti-graft agency was able to establish that the governor was central to the allocation of the N400 million and the coordination of its disbursement. The funds were later wired into the accounts of the two firms and the charity organisation. Investigation confirmed that the companies were incorporated by the incumbent Governor of Ebonyi State in 1993 and 2011 respectively. A reliable source said: “In the state, Kelechi Igwe (incumbent deputy governor), Fidelis Nwanwko and Ambassador Frank N. Ogbuewu collected the money to prosecute the 2015 general election. “Fidelis Nwankwo and Ambassador Frank N. Ogbuewu were invited and they disclosed that they collected the N400 million from Fidelity Bank and handed it over to Access Bank on the directive of the then Deputy Governor, Engr David Umahi, who is now the incumbent governor. It was learnt that detectives traced the N400 million to the accounts of the two companies and Umahi Faith Foundation. Analysis of the accounts indicated that while N300 million was paid into the account of Osborn La-Palm Royal Resort Ltd, N100 million was remitted into the account of Brass Engineering & Construction Nig. Ltd. The N100 million in the account of Brass Engineering & Construction Nig. Ltd was later transferred to David Umahi Faith Foundation. The detectives later uncovered how the funds were subsequently withdrawn by one Chinyere Egwuche in tranches of N50 million. Another source said: “The movement of the fund from one account to another and the subsequent cash withdrawal of N300 million in tranches of N50 million are clear features of money laundering . “Consequently, letters of invitation were written to the Managing Directors of the companies where the money was paid but the letters were returened undelivered as the addressees refused to collect them. “Thereafter, Austin Umahi, Maxwell Umahi, Chinyere Egwuche and Mabel Dikibo were arrested. Investigation revealed that Chinyere Egwuchu and Mabel Dikibo were the signatories to the accounts of the companies. “It was also discovered that one of the suspects, Chinyere, withdrew the N300 million paid into the account of Osborn La-Palm which, according to her, was used to further the construction of Osborn La-Palm hotels in Abakaliki, Uburu and Port Harcourt. As at press time, the three key suspects, who were arrested and grilled, had been released on bail. But the EFCC was able to recover N90 million out of the N400 million.